Her Majesty has unveiled this year’s list of influential public figures. The Queen’s Birthday Honours list has been unveiled and the number of female figures mentioned has risen to 41 percent this year in comparison to 2017’s 39 percent. Back in 2015, just seven women became dames in comparison to 33 knighthoods. In a progressive step towards gender equality, there are 11 damehoods and 21 knighthoods this year and the number of women set to receive a CBE or above has increased by ten percent in the past three years. Out of a 1,057-strong list, almost half of Her Majesty’s 2018 honorees are women. 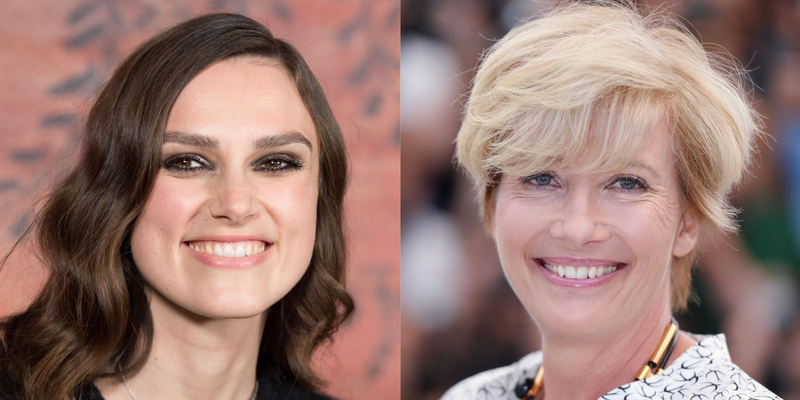 Keira Knightley and Emma Thompson are amongst the female stars to have garnered a spot on the prestigious awards list. Oscar-winning actress Thompson, who kick-started her career back in the eighties, will be made a dame. Meanwhile, Knightley – who starred alongside Thompson in Richard Curtis’ 2003 rom-com Love Actually – will receive an OBE for her services to drama. Other influential female figures who have secured a well-deserved spot on Her Majesty’s annual list include investigative journalist Stacey Dooley for her services to broadcasting and war correspondent, Kate Adie, who will receive a CBE. The beauty industry’s leading ladies were also given a special mention in this year’s list. Jo Malone – founder of the namesake perfumery brand – has been awarded a CBE for her services to the British economy. 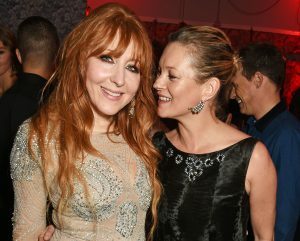 A-list make-up artist Charlotte Tilbury also made the cut and will receive an MBE for her services to the beauty industry. Over in the sporting world, Judy Murray – former Great Britain Fed Cup coach and mother to Wimbledon champions Andy and Jamie – will receive an OBE for her services to tennis and women in sport. This year’s oldest honoree is 103-year-old former Second World War nurse, Rosemary Powell, who has been awarded an MBE for her 97-year commitment to the Royal British Legion Poppy Appeal. The youngest recipient on Her Majesty’s list is 20-year-old alpine skier, Menna Fitzpatrick, who won gold in the 2018 Winter Paralympics. For the full lowdown on the 2018 Queen’s Birthday Honour’s list, head over to the Gov.uk website. On his 72nd birthday, we chronicle Bowie’s style legacy. Harper’s BAZAAR Malaysia celebrates 15 style trailblazers in the most spectacular Malaysia’s Most Stylish Women project to date. The founder of Macaroon Wardrobe and former model on her style icons and the business of fashion. Everything you need to know about the Kylie Cosmetics Birthday Collection 2018. The double-story flagship showcases collections from Giorgio and Emporio Armani.